LAVAL, QUÉBEC--(Marketwired - June 9, 2017) - Urbanimmersive Inc. ("Urbanimmersive" or the "Company") (TSX VENTURE:UI)(OTC PINK:UBMRF), a real estate content marketing platform, is pleased to announce the signing of two (2) new Affiliate Program agreements with real estate photographer agencies for the use of Urbanimmersive's visual content marketing platform for 100% of their real estate business transactions. New Affiliate vendors' business transactions will take place on the platform and will grow Urbanimmersive's top-line revenue. The Company will then take a transaction fee in line with its current pricing model on each transaction generated through its platform. Urbanimmersive is also proud to announce that our first photographer agency located in Toronto, Elevated Photos Canada, is joining Urbanimmersive's visual content Marketplace. The Company will continue to recruit visual content providers in Toronto with the objective of launching its Marketplace as soon as the number of providers reaches the proper threshold to ensure a successful launch. The Company is also pleased to announce the launch of its new suite of products dedicated to photographers developed by Urbanimmersive, UiProHDR. This new suite of products will be offered to Urbanimmersive's Affiliated photographers and aims at attracting new photographers in the program as an added value. High Dynamic Range (HDR) Imaging is a widely used technology in real estate photography. HDR technologies reproduce a better dynamic range of luminosity than what is achievable with standard photographic techniques. There are several HDR softwares on the market, however, the Company believes its technology is the only solution available today that provides a fully integrated solution enabling control of the camera to clients' orders management and images delivery. UiProHDR comes with a custom WIFI camera remote controller hardware and an integrated suite of software in Urbanimmersive marketing platform that increases photographers' productivity and image quality. "HDR technology is part of our DNA at Urbanimmersive," stated Ghislain Lemire, CEO of Urbanimmersive. "Our immersive technology, AVU3D, used HDR since 2008 and therefore it was natural to use our expertise and intellectual property to bring this new solution to life. Our new UiProHDR solution is for real estate photographers who are unhappy dealing with multiple pieces of software and processes in order to produce a large volume of HDR images." M. Lemire added, "With UiProHDR, our Affiliated Program is now offering photographers an HDR solution that will increase their productivity and reduce their cost while providing great real estate pictures. We expect this solution to contribute greatly in our photographers Affiliated Program adoption which already has a great reception on the market." As the Affiliated Program for photographers has now become part of Urbanimmersive's ordinary business activities, the Company wishes to inform investors that it will no longer announce new Affiliate Agreements with photographers signed in Québec. This information will be contained in the Company's Management Discussion and Analysis (MD&A) in subsequent quarters. However, Urbanimmersive will continue to disclose new Affiliated Programs with vendors and partners for which the Company believes will mark important milestones in its growth strategy. Since April 2017, the Company has signed seven (7) Affiliate agreements with visual content providers. The Affiliate Program is offered to visual content providers ready to use Urbanimmersive's Marketplace for 100% of their real estate business transactions with existing and new customers. The program provides real estate photography agencies, photographers and 3D artists in Urbanimmersive's Marketplace with increased marketing visibility while enabling them to effectively manage their internal operations and account receivables. The Affiliate Program offers a white label ordering interface, presenting only services offered by the agency or by other Marketplace content providers selected by the agency. It also provides a dashboard to manage bookings and payments from the incoming customer's phone calls, emails and SMS. As part of the Affiliate Program, visual content providers become Urbanimmersive resellers of the Company's internal products and services. The Company wishes to provide further clarification on the terms of its first Affiliate agreement with GraphicID announced on April 12, 2017. In consideration for being the first to join and start the Affiliate Program and also in consideration for GraphicID's exclusive use of Urbanimmersive's solution and the transfer by GraphicID of its customers on the Marketplace, the Company issued 75,000 of its common shares listed on the TSX Venture Exchange under the symbol UI (the "Issued Shares") to GraphicID, for a total equity value of C$13,500 based on the April 12, 2017 (Issued Date) closing price of C$0.18. The transaction has been unanimously approved by the board of directors of both companies. In addition to any statutory restriction, all Issued Shares are subject to a mandatory holding period and restriction on the transfer of eighteen (18) months and one day from the Issue Date. 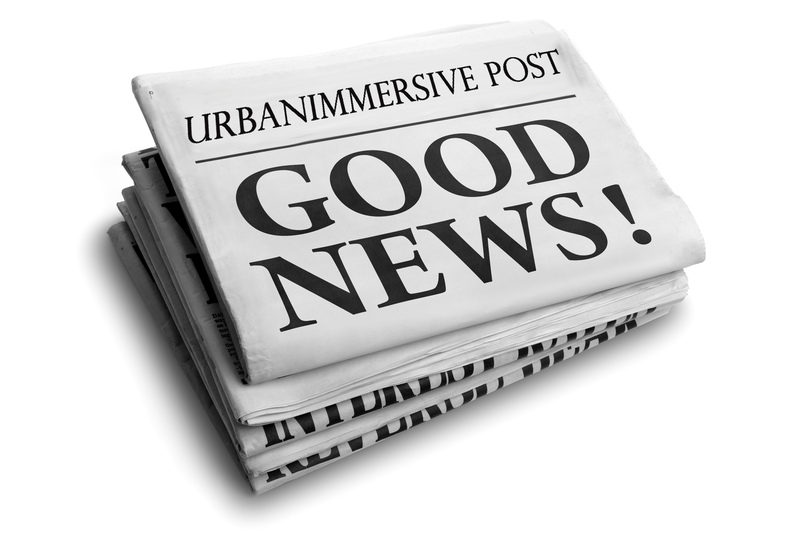 Urbanimmersive is a content marketing marketplace for real estate professionals. The Company connect real estate professionals, photographers and writers in order to simplify and optimize original content production workflow. Urbanimmersive enables its customers to leverage their marketing investment while increasing productivity, competitiveness, their web visibility, consumer engagement with their brand and ultimately, their revenue..
Certain statements in this news release, other than statements of historical fact, are forward-looking information that involves various risks and uncertainties. Such statements relating to, among other things, the prospects for the company to enhance operating results, are necessarily subject to risks and uncertainties, some of which are significant in scope and nature. These uncertainties may cause actual results to differ from information contained herein. There can be no assurance that such statements will prove to be accurate. Actual results and future events could differ materially from those anticipated in such statements. These and all subsequent written and oral forward-looking statements are based on the estimates and opinions of the management on the dates they are made and expressly qualified in their entirety by this notice. The Company assumes no obligation to update forward-looking statements should circumstances or management estimates or opinions change. For additional information with respect to certain of these and other assumptions and risk factors, please refer to the last Corporation's MD&A filed with the Canadian securities commissions. The forward-looking statements contained in this press release represent our expectations as of the date hereof. We disclaim any intention and assume no obligation to update or revise any forward-looking statements.